As soon as I crafted the suite of logos for the Heretick Theatre Lab (see last post), I had the opportunity to use them. 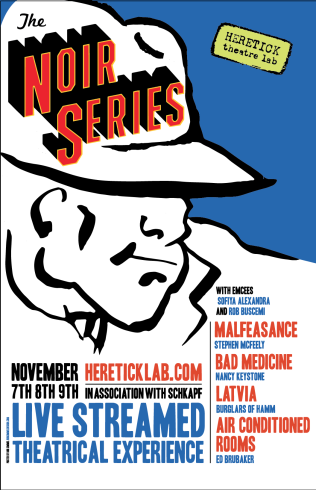 The Noir Series, running three nights in November, presents four original theatrical pieces drenched in one of my favorite genres: Noir. They’ll be onstage AND streamed live, which I think is a fantastic experiment.